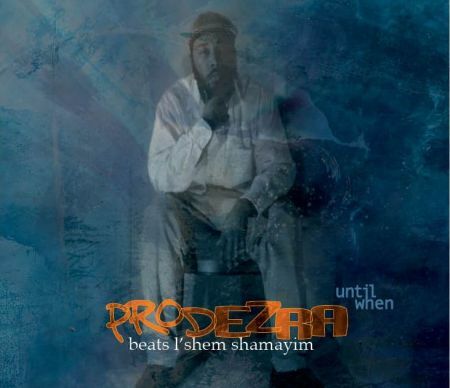 Prodezra Beats: The Interview | Yo, Yenta! This entry was posted in Jewish Hip Hop In Da House by Head Yenta. Bookmark the permalink. Glad to see such a good thing happening in Savannah once again. May it continue and thrive and spread throughout. Great article and happy to know you both. This is so interesting! Love knowing there’s such an aware, evolved guy on the music scene. You did a great job with this interview! Submit it to a national J mag!! If you could only see me rockin’ to his rap right now! My first Rap concert Yo! Not afraid to drop the “J” word, Mr Formey had the community crib bumpin and thumpin like a plate of spinning dreidels. Kicking back with my tribe. I Got My hands in the air and my baby was shakin her Jewess tukhus like Myriam’s timbrels. Abraham scored a cheap grill when he sucked the chocolate off the gelt and got some gold rapper stuck in his teeth (thank you Dr Rosenthal for the free consult). We even had an actual gun shot victim which I thought provided some real hip hop street cred (props to Michael Rich for takin one for the team) which almost, but not quite topped the crunking GHETTO Bert which was so off the hook I actually invited him back to our place for a little gift giving after party. Bert’s no bizza my Jewnizza! All in all it was the most culturally diverse, well attended, fun time I have ever had as a Savannah Jew. Every Savannah Jewish congregation, non affiliation, and generation was represented. I was authentic, unadulterated, Jewish unification. “Black orthodox jewish” if he would was also Muslim it have been something :)).